Find pictures that represent or symbolize the experiences, feelings, and possessions you want to attract into your life, and place them in your board. Have fun with the process! Use photographs, magazine cutouts, pictures from the Internet–whatever inspires you. Be creative. Include not only pictures, but anything that speaks to you. Consider including a picture of yourself in your board. If you do, choose one that was taken in a happy moment. You will also want to post your affirmations, inspirational words, quotations, and thoughts here. Choose words and images that inspire you and make you feel good. You can use your vision board to depict goals and dreams in all areas of your life, or in just one specific area that you are focusing on. Keep it neat, and be selective about what you place in your vision board. It’s a good idea to avoid creating a cluttered or chaotic board… you don’t want to attract chaos into your life. Use only the words and images that best represent your purpose, your ideal future, and words that inspire positive emotions in you. There is beauty in simplicity and clarity. Too many images and too much information will be distracting and harder to focus on. 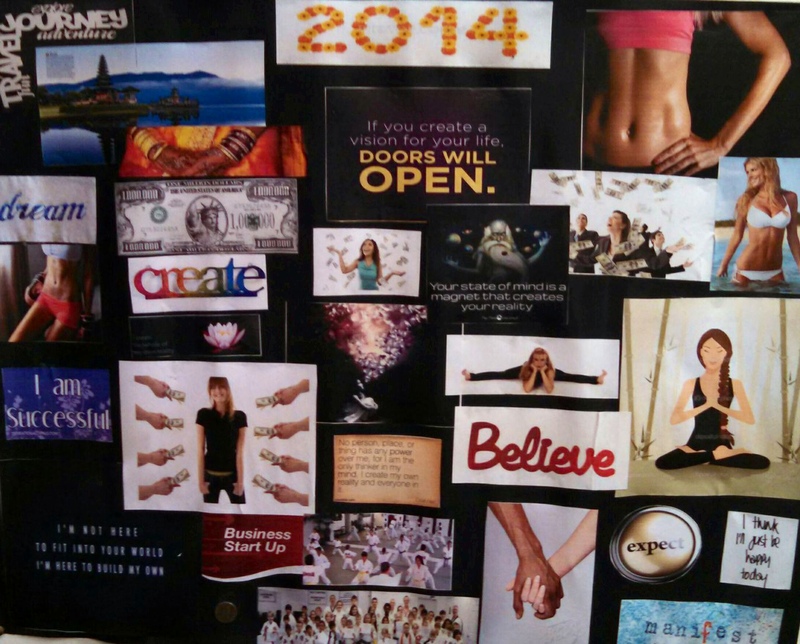 It’s a good idea to create a new vision board each year. As you continue to grow, evolve and expand, your dreams will too. Your Vision Board is meant to be kept and cherished. They chronicle not only your dreams, but your growth and achievements. I hope this article has inspired you to create your own vision board. King Tiger Martial Arts will be hosting a Vision Board Project Event Saturday, January 24th, 2015 at 12:00 Noon. Everyone is invited including children, parents, students and community members. Come out and get your creative juices flowing, meet new people, and supercharge your point of attraction. If you have questions about what to bring, location or anything else we can be reached on Facebook at www.facebook.com/kingtigermartialarts or give us a call at 757-410-4999. See you there!